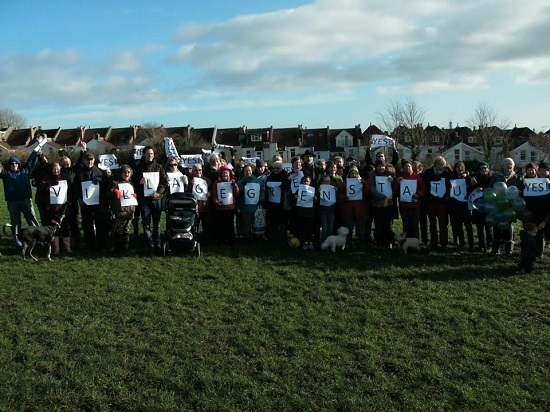 FOLLOWING years of campaigning, Wellington Hill Playing Field has received Village Green status. Members of the community came together at the site in Horfield on February 1 to celebrate the achievement. The status gives Wellington Hill the highest level of protection available in the UK as an open green space. Friends of Horfield Common applied for Village Green status following previous proposals from Bristol City Council to sell the field. The council proposed selling the green in 2010, but Wellington Hill was saved following an influx of objections from the local community. A statement on the Friends of Horfield Common website stated: "This is a fantastic achievement which ensures that the young people's groups, local residents, dog walkers and other users of the field will be able to continue to enjoy it into the future."